Santa Monica, CA — The California Senate completed Governor Jerry Brown’s consolidation of the California Public Utility Commission in the hands of three of his closest former aides and two of his former appointees, guaranteeing half a decade of influence by the utility-friendly Governor long after he leaves office, Consumer Watchdog said today. After Senate pro Tem Kevin de Leon promised to get written answers to questions about appointee and former Brown aide Cliff Rechtschaffen’s firing of tough oil and gas regulators and other scandals before confirming him, the Senate voted at 2 a.m. on the last day of session for Rechtschaffen. Consumer Watchdog called on the Senate leader to publicly disclose questions posed to Rechtschaffen and his answers. Consumer Watchdog noted that de Leon had stood up against Brown’s demand for an end-of-session ramrod of a Western energy market that would undermine California renewable energy laws and that the confirmation was likely payback to the Governor after Brown’s defeat on the Western market. In a letter to the pro Tem about Rechtschaffen’s first confirmation hearing in August before the Senate Rules Committee that de Leon chairs, Consumer Watchdog wrote: “You called for a special committee to provide written questions to Rechtschaffen gathered from concerned Senators and to receive his written answers before final confirmation on the Senate floor. Among other matters, we had urged you to ask questions such as why, as a top aide to Brown, Rechtschaffen fired two oil and gas regulators trying to make fracking safer and to protect drinking water aquifers at the behest of Occidental Petroleum. For the letter, see here. “The public has not seen the answers to the questions put to Mr. Rechtschaffen, but it deserves to see them. We call upon you to release your correspondence with Rechtschaffen on this matter and his answers to the questions posed. “As you know, we submitted extensive analysis about the unsuitability of Mr. Rechtschaffen to serve as a PUC Commissioner given his record under Brown of ignoring federal laws and state regulations to aid the oil and gas industry while jeopardizing the public health. “Several public interest groups and attorneys, including ourselves, made the case that, under Brown, Rechtschaffen pandered to the largest energy companies in the state, including taking over the agency regulating oil and gas after he fired California’s two top oil and gas regulators and turning back the clock by reinstalling oil industry permit rubber-stampers. See here. 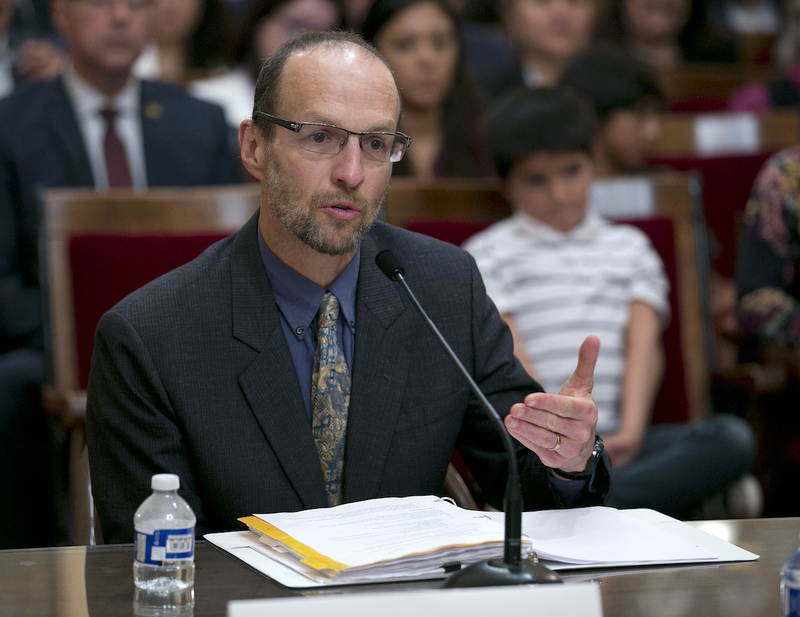 “We also expressed concern that Rechtschaffen, together with other PUC commissioners, concurred in a decision to reopen the Aliso Canyon gas reserve as safe before the root cause of the biggest methane well blowout in U.S. history was revealed, and when the PUC is simultaneously determining whether California can do without the facility. For more on Cliff Rechtschaffen, see here and here.